RICHARD SOLOMON ARTISTS REPRESENTATIVE: Launching our New Website! For the past immeasurable amount of months, we have been working to create our new website. And finally, we can say that it is now up and running. This radically new format is not only easier to use, but is also much more suitable to the growing world of social media. 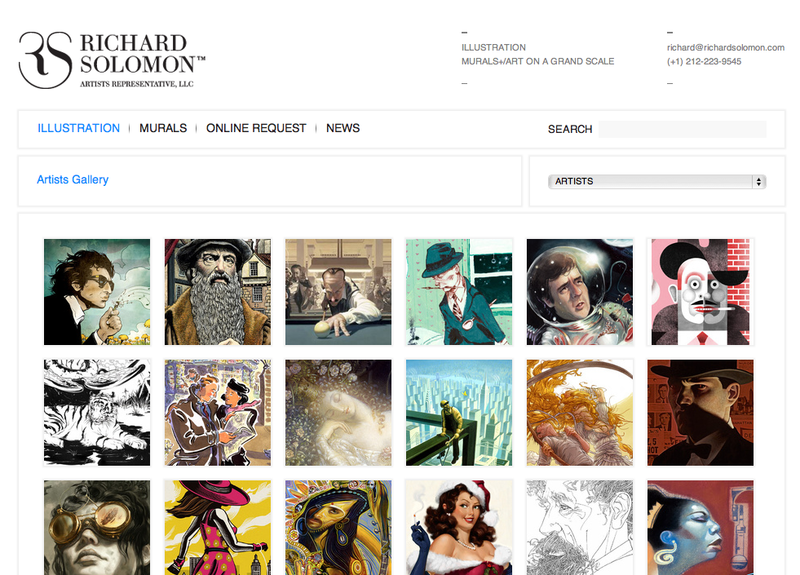 We have also put Art on a Grand Scale under the same umbrella in a much more user friendly format. Check it out! Go ahead and press some buttons, use our search bar, download the PDF portfolios, or just sit and stare at the harmonious design of Ana Gomez Bernaus.